In part 1 of "This is My Father's World", Music of the Spheres, Maltbie Babcock, and Pythagoras, I looked at how Pythagoras intuitively understood the harmony and order of the natural world, and the cosmos. Pythagoras in effect discovered music theory, and within it, musical spacing, octaves, and vibrations. He extrapolated from his discovery that a similar harmony and order in the planetary cycles and orbits must exist, and named his astronomical theory Music of the Spheres. This theory, brought to the masses by Plato, spawned a plethora of false constructs, including a sect of philosophy whose followers were called Pythagoreans, and also the philosophies of Gnosticism, Rosicrucianism, and other "Mystery" philosophies which ended up worshiping the knowledge or the numbers rather than the God who created them. However, Pythagoras's notion that "everything vibrates" is a good one. Until 1970 when string theory was said to have been invented by Yoichiro Nambu, particle physics had no real, satisfactory explanation for they way things were. Why is there a numerical beauty behind everything? Why does the human soul respond to beauty the way it does? Why is there beauty? How did the cosmos come to be so orderly? As for string theory, Pythagoras was on the right track that everything vibrates, something that waited 2000 years to be more fully explained, until 1970 when Yoichiro Nambu founded string theory. "Prior to that time, elementary particles were analyzed in some cases as points -- an attribute which was clearly an approximation at best, and at worst, untenable. Even the idea that elementary particles were made up of quarks, was not wholly satisfactory, in that this concept had its own stable of problems." "However, a perhaps equally valid viewpoint is that “string theory” actually began with Pythagoras, whose philosophy centered about the power and harmony of numbers (e.g. the Pythagorean Theorem) and that mystical tetrakyts, or foursomes, held the secret to the universe. It is, after all, strings where we most easily encounter the harmonies." 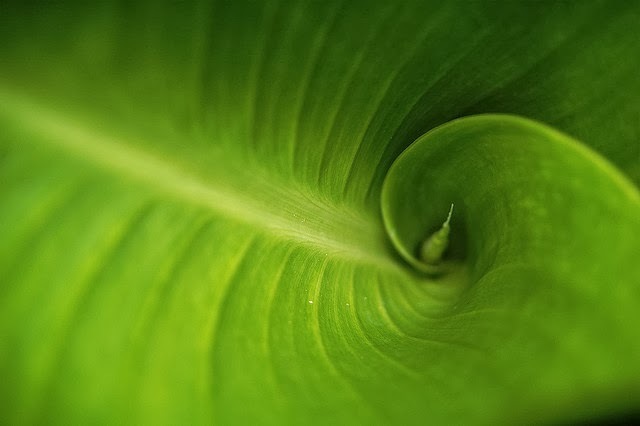 One of those numerical and harmonious aesthetics is seen in the orderliness of the numbers that medieval mathematician Fibonacci discovered, including the Golden Mean, the Golden Spiral, the Golden Section, and the Golden String. I've written about Fibonacci numbers before. 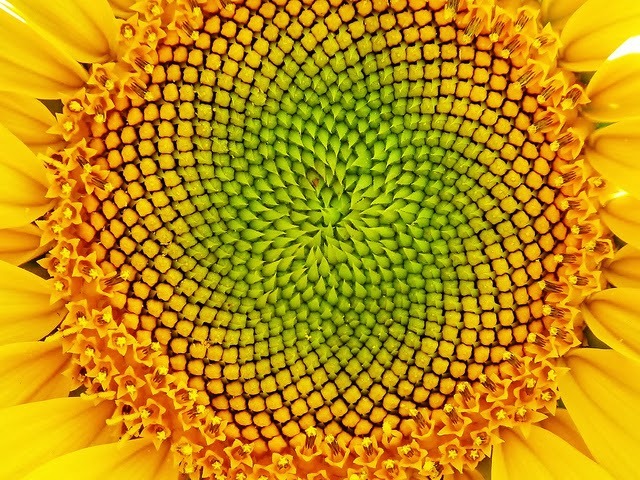 Dr. Knott at the University of Surrey in the UK wrote about the relationship between the Fibonacci sequence and Pythagorean triangles. "Modern Superstring theories are based on generalizing the notion of a point particle to that of a string-like object. “In an analogy to a string of piano wire, the lowest note of the string corresponds to massless or very light particles, such as the photon, graviton, or electron; the harmonics or higher modes of the string correspond to the very massive particles... ”"
And of course, these strings vibrate, just as Pythagoras envisioned when he noticed the harmony in the lyre's octaves, and in the universe's precision of planetary orbits. Johannes Kepler took Pythagoras's theories and extended them much further. Born in 1571, Johannes Kepler was a precocious and brilliant (if sickly) boy plucked from the mire of his impoverished circumstances and given a first-rate education. He discovered, among other things, the three laws of planetary motion. His constant accuracy in his experiments and maths did much to establish the truth of heliocentric astronomy, which was the theory that that planets move around the Sun rather than the Earth. Pythagoras thought the opposite. Wikipedia sums up Kepler's cherished work, begun in 1599, a tome called "Harmony of the World", (Harmonices Mundi). "While medieval philosophers spoke metaphorically of the "music of the spheres", Kepler discovered physical harmonies in planetary motion. He found that the difference between the maximum and minimum angular speeds of a planet in its orbit approximates a harmonic proportion. For instance, the maximum angular speed of the Earth as measured from the Sun varies by a semitone (a ratio of 16:15), from mi to fa, between aphelion and perihelion." "Kepler discovers that all but one of the ratios of the maximum and minimum speeds of planets on neighboring orbits approximate musical harmonies within a margin of error of less than a diesis (a 25:24 interval). The orbits of Mars and Jupiter produce the one exception to this rule, creating the unharmonic ratio of 18:19. In fact, the cause of Kepler's dissonance might be explained by the fact that the asteroid belt separates those two planetary orbits, as discovered in 1801, 150 years after Kepler's death." Pretty neat. Kepler definitely had a brain in his head. Cut to today and we see that the physicists are still attempting to explain the harmony of the movements of the celestial bodies. Not unlike from Pythagoras's universe being a giant lyre-like instrument, vibrating heavenly harmonics, is it? Nowadays with the ability to translate astronomical data into sound (sonification) we can listen to the music of the spheres that Pythagoras said was inaudible. You can go to the Kepler/NASA sonification page and listen to more. They're cool! Solomon said that there is nothing new under the sun. This includes all the science modern man has extracted from his engagement with the world (or the cosmos). Pythagoras, Kepler, Greene...no matter what the century, God has already made it plain to them, as the verse in Romans 1:18-20 says. As man advances in technology, we can refine what God has made plain to us, such as with a Kepler telescope. But in the old bible are the 'new' scientific facts that the earth is a sphere, the universe is expanding, the number of stars exceeds a billion, the second law of thermodynamics indicating the universe will wear out, that the earth is suspended in space, and so on. Any person in the Spirit who reads the bible will have these facts illuminated to him, and it has been so since God revealed them. Pythagoras's discovery isn't new, neither are Kepler's or Nambu's or Greene's. They aren't new because God told us and made it plain, but when man discovers these things apart from God, it makes all the eternal difference. More on that in the final part three.